"Professional filmmakers and photographers always push to create images that have never been seen before, and DJI never stops trying to give them the tools to achieve their vision," said DJI CEO and Founder Frank Wang. "Our newest flight platforms and stabilized aerial cameras are smarter, faster and more powerful than ever before. We can't wait to see how creators use Inspire 2 and Phantom 4 Pro to capture dazzling images." 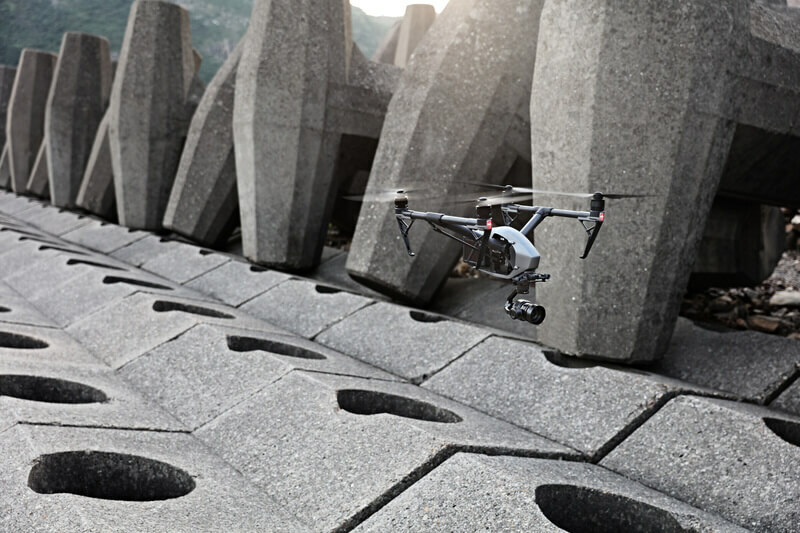 Inspire 2 offers powerful capabilities and is easy to operate. The nimble new magnesium-aluminum alloy body increases stiffness while lowering weight. It has a top speed of 58 mph and takes only 5 seconds to accelerate to 50 mph. With the new dual battery system, flight time is up to 27 minutes. A new forward-facing camera offers the pilot the best flight view for operating the master controller, while the camera operator receives a separate feed from the professional Zenmuse camera mounted on the main gimbal. The Inspire 2 supports the brand-new Zenmuse X4S and X5S cameras and will support additional cameras in the future. Inspire 2's new intelligent flight modes expand DJI's computer vision technology to safely fly routes that give creators new ways to capture what they envision. Spotlight Pro Mode locks onto a subject during flight while the aircraft flies freely in another direction – and automatically rotates the aircraft to stay on the shot if the gimbal reaches its rotational limit. The forward-facing camera offers TapFly, which directs Inspire 2 to any point on the screen while avoiding obstacles along the way. ActiveTrack recognizes common subjects such as people, cars and animals, sending Inspire 2 to follow behind, lead in front, circle above or track alongside while always flying forward, ensuring the forward-facing obstacle sensing system keeps the aircraft safe. 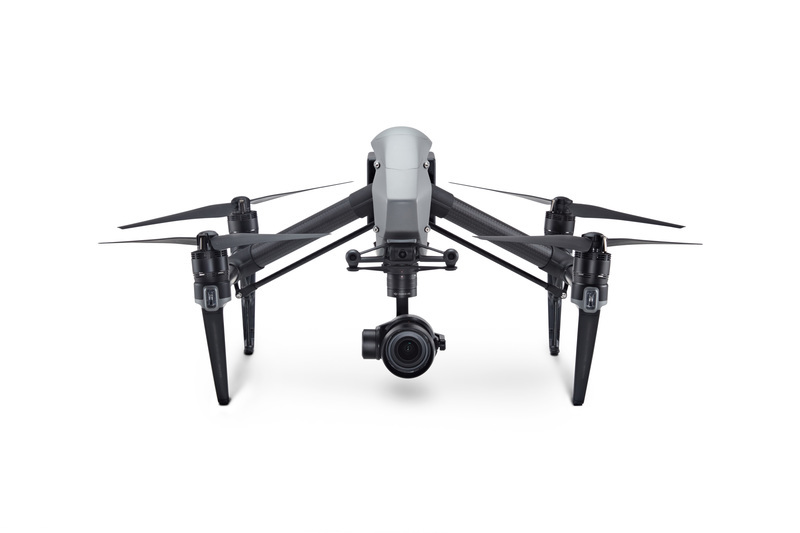 DJI is enhancing the imaging potential of the Inspire 2 by expanding its line of interchangeable Zenmuse cameras, which are designed for aerial imaging and communicate directly with the aircraft's gimbal and flight controllers. For situations that require a balance between weight and image quality, the new Zenmuse X4S has a 1-inch, 20-megapixel sensor with 11.6 stops of dynamic range and a 24 mm equivalent focal length. The Zenmuse X4S offers aperture control (f2.8-11) and a mechanical shutter that cancels rolling shutter distortion. The new Zenmuse X5S has a larger Micro Four Thirds sensor with 20.8 megapixels and an incredible 12.8 stops of dynamic range. The Zenmuse X5S camera now supports 8 lenses from wide angles to zooms. It shoots 20fps continuous burst DNG RAW (20.8 MP). In the future, a handheld mount will be available for the Zenmuse X4S and X5S cameras, bringing those cameras down to the ground for more flexible filmmaking. Phantom 4 Pro builds on DJI's original obstacle avoidance system with FlightAutonomy – three sets of visual systems that build a 3D map of obstacles in front, behind and below the aircraft, as well as infrared sensing systems on both sides. FlightAutonomy can position, navigate and plan routes for Phantom 4 Pro, enabling it to avoid obstacles in a sensing range up to 98 feet at front and rear, even in complex 3D environments. When returning to home and tapping to initiate auto takeoff or landing, the Landing Protection function is able to detect and help avoid landing on uneven ground or water. 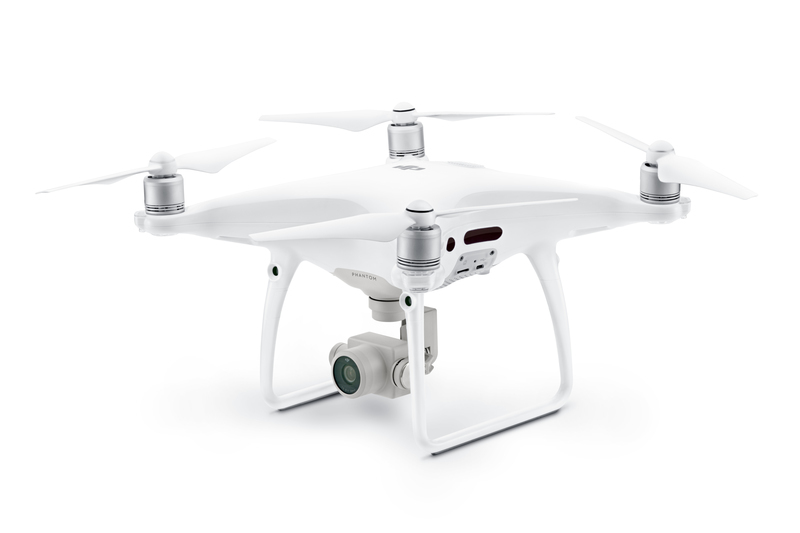 Phantom 4 Pro has high-performance battery technology that provides up to 30 minutes of flight time. The Phantom 4 Pro flies at 31 mph in P mode with obstacle avoidance in effect, and has a 45 mph top speed in sport mode. Phantom 4 Pro's revolutionary new compact remote controller comes with an optional high luminance display, providing a clear and vivid live HD view from the main camera as well as essential telemetry data, even in direct sunlight. The aircraft will automatically choose between 2.4GHz and 5.8GHz once powering on to gain a clear signal in areas with high radio interference. The new controller has a built-in GPS, compass, Micro-SD card slot and HDMI port. As an additional safety feature, within a minute of losing GPS signal, the aircraft will automatically return to the last connected position and hover there precisely to wait for the pilot's command. With the enhanced return to home function, the aircraft knows where it should be going from up to 984 feet away and avoids obstacles along the route. Phantom 4 Pro's U.S. retail price is $1,499 with a standard controller. The Phantom 4 Pro+, which includes a Phantom 4 Pro aircraft, and a high luminance display remote controller, will be available at $1,799. Phantom 4 Pro and Phantom 4 Pro+ are immediately available for pre-order at dji.com/phantom-4-pro and DJI flagship stores in Shenzhen, Seoul and Hong Kong. These products will begin shipping one week after launch.